Please review the training policy, training requirements and the cancellation policy by clicking below before registering for training. Effective May 1, 2017, the Community Child Care Clearinghouse of Niagara is reducing the cost of our two--hour trainings to $10.00 per participant. We hope this reduction in training cost will make it easier for all child care providers to obtain 30 hours of training every two years as required by the New York State Office of Children and Family Services child day care regulations. If you have a training topic that you would like addressed, please email the Community Child Care Clearinghouse of Niagara at ccrrniagara@niagaracapcorg. Click here for a list of free on-line training sponsored by the New York State Office of Children and Family Services. If you are a Niagara County family or group family child care provider and are in need of a Child and Adult Care Food Program training, please contact Betty or Linda at 716-285-9681. If you are a Niagara County day care center or school-age child care program and are in need of a Child And Adult Care Food Programs training, please call 716-847-4528. Please have your Child And Adult Care Food Programs agreement number available when you call. Click here to view the CACFP sponsored "Civil Rights Training" that must be taken annually by day care owners, on-site providers and assistants and other employees of child care programs. For those providers that are taking this on-line training, please make sure to download the certificate at the end of the training and send a copy of it to your CACFP sponsor. Click here to view the CACFP Newsletter filled with ideas for creative, healthy and fun food ideas that children will love to make and eat. Child care providers and/or child care programs may choose to obtain an accreditation. 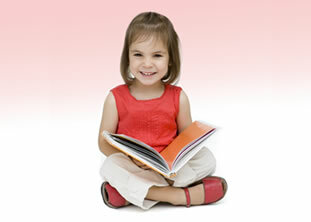 An accredited child care provider or program may receive a higher quality rating. Click here for information of the types of credentials available for child care providers and child care programs. QUALITYstarsNY has arrived in New York State! High quality early care and learning programs are essential for children's success in school. New York State is currently developing QUALITYstarsNY to support the efforts of early care and learning programs to improve the quality of their services and to give parents the information they need to make a more informed choice. QUALITYstarsNY is a voluntary quality rating and improvement system that is designed to increase quality in early learning settings - centers, schools, and homes - throughout the state. QUALITYstarsNY is a project of the Early Childhood Advisory Council whose mission is to provide strategic direction and advice to the State of New York on early childhood issues. By monitoring and guiding the implementation of a range of strategies including QUALITYstarsNY, the Early Childhood Advisory Council supports New York in building a comprehensive and sustainable early childhood system that will ensure success for all of New York's youngest citizens. For more information on QualitystarsNY please, click here.